Thomas’s opinion rejected the U.S. Court of Appeals for the Ninth Circuit’s holding that these types of notices, required in the context of state licensing, were a separate category of “professional speech” that did not receive the full measure of the First Amendment’s free speech protections. The ruling also prohibits California from forcing crisis pregnancy centers that are not licensed medical facilities to read clients a script that they are not licensed. “[T]his Court has not recognized “professional speech” as a separate category of speech. Speech is not unprotected merely because it is uttered by “professionals,” Justice Thomas writes in his opinion. The Court also rejected the idea that these notice requirements were protected as part of the typical state regulation of the practice of medicine, like requiring consent forms. 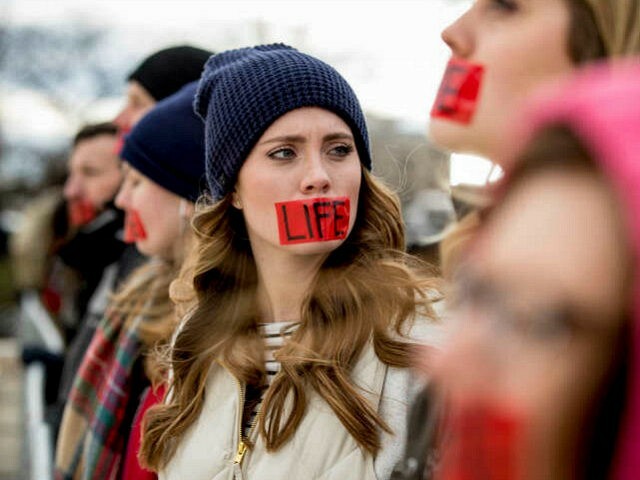 The National Institute of Family and Life Advocates (NIFLA), a group that represents the pro-life clinics and centers in question, brought suit to overturn the law after pro-abortion groups ran “undercover investigations” to ensure compliance with the notice requirements. The ADF is the same pro-religious freedom public interest law firm who secure victory for a Coloradan Christian baker who refused to bake a cake celebrating a marriage between two men in the landmark Masterpiece Cakeshop case this month. Speakers should not be forced by their government to promote a message with which they disagree, and pro-life pregnancy centers in California should not be forced to advertise abortion and undermine the very reason they exist. This Department will continue to vigorously defend the freedom of all Americans to speak peacefully in accord with their deeply held beliefs and conscience. The case is National Institute of Family and Life Advocates v. Becerra, No. 16–1140.